Some exercises are definitely more beneficial than others. This is partially because they strengthen important muscles in your body which are crucial to your overall health and fitness. If you have ever worked with a personal trainer, you probably noticed that they often focus on squats, deadlifts, push-ups, chin-ups and planks. Let's take a closer look at each of the aforementioned exercises. The squat is a fantastic multi-joint full body exercise. It primarily works the glutes, quads and hamstrings. To a lesser extent, squats have a positive impact on core and back strength, especially when you do them with weight. In order to properly perform a squat, stand with your toes pointed outward and your feet a little more than hip width apart. Lower yourself down so that your thighs end up parallel with the floor. You should keep all the weight in your heels and try not to let your knees go past your toes. In order to avoid arching your back, engage your core especially as you increase the weight you are squatting. When it comes to full-body strength training, the deadlift is one of the best compound exercises you can do. Deadlifts are great for your hamstrings and glutes. Not only that, but you will also get a stronger core and lower back. Having a strong lower back will help prevent back injuries later in life. Lastly, it improves grip strength because you must hold on to the bar as you are lifting it. In order to properly perform a deadlift, your back must stay neutral or you will risk injury. One of the best things about push-ups is that you can do them at any time anywhere. You don't need to invest in any expensive gym equipment and you will still be able to work many muscle groups. Push-ups help strengthen your pectoral muscles, triceps, deltoids, as well as the core. In order to perform a proper pushup, start out in the high plank position with your hands under your shoulders. Then, engage your core, glutes and hamstrings. While keeping your body straight, lower yourself by bending at the elbows until they are at ninety degrees or your chest touches the ground. However, do not lay down on your stomach or this will defeat the purpose of the exercise. After that, push yourself back up to complete the movement. Chin-ups are the king of upper body exercises. They work your biceps, latissimus dorsi, teres major, infraspinatus and core. Additionally, chin-ups will help you improve your grip strength because you have to hold on to the bar while lifting your body up. 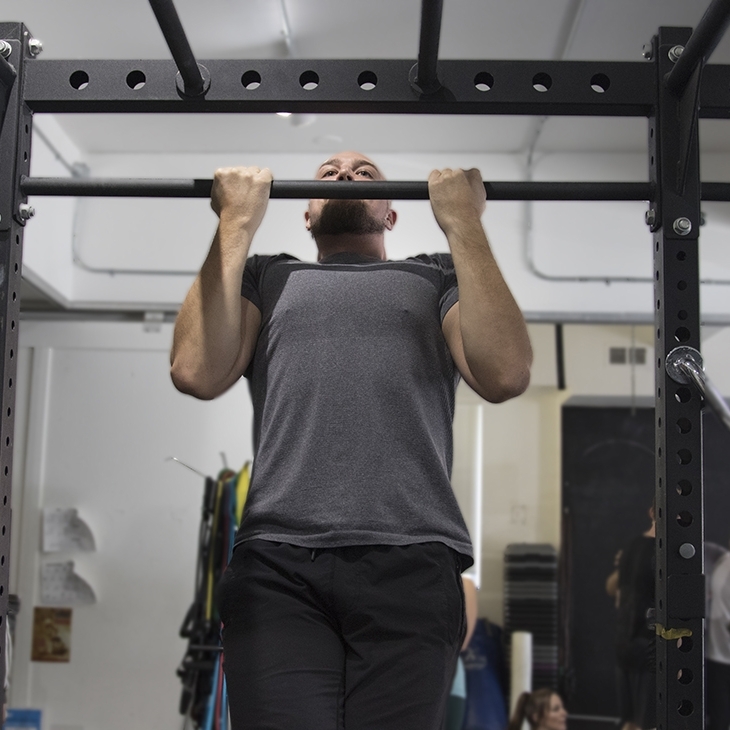 To perform a chin up, grab the bar with your hands facing towards you. Pull yourself up until your chin is over the bar. Then, lower yourself in a controlled fashion. The plank is an isometric exercise which helps improve your core strength and posture. Depending on the type of plank you are doing, you will be able to strengthen your rectus abdominis as well as your obliques. There are many variations of the plank, including: high plank (arms straight), low plank (on your elbows), front plank and side plank. Regardless of the type of plank you are doing, in order for the exercise to be effective, you must be sure to keep your body straight and your core engaged for the duration of the hold. As we can see, the aforementioned exercises work all the major muscle groups in the body and they are very effective. If you are unsure of how to perform any of these movements, then it's recommended that you consult a personal trainer who will teach you proper exercise form.